All designers should aim for an experience that removes as much friction as possible and creates a usable digital experience. However, it is rare to simply want to create something that just exists. It should be interactive, people should be motivated to use the product. To create such a product that aims to engage the user, designers often use surprising and different approaches in their designs. But how can this effectively increase user engagement? 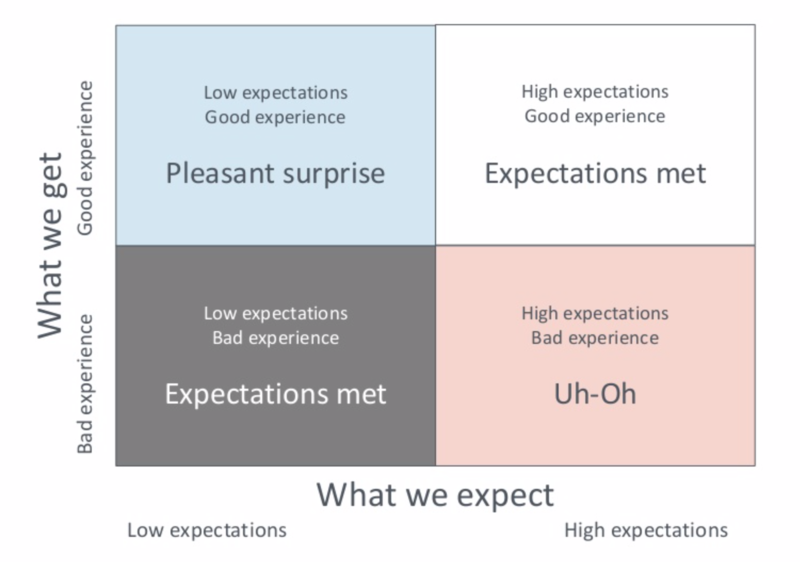 “Surprise can be a very minor change that adds flavor and variety to an otherwise routine experience”. Our brains actually get a brief “high” from solving a problem. We delight in bringing order to the chaos. And there is a reason for that: Categorizations is a strategy our brains use to more efficiently process information. In 1998 a trio of researchers at the University of Washington published a paper that many see as evidence that unconscious, or “implicit”, stereotyping is the rule rather than the exception. It is called the Implicit Association Test (IAT) and has become one of social psychology’s standard tools for measuring the degree to which an individual measures the strength of associations between concepts. I want to use this test as a tool to explain how every user categorizes information on a very basic level. In the IAT a subject responds to a series of items that are to be classified into four categories – typically, two representing a concept such as flowers versus insects and two representing an attribute discrimination such as pleasant versus unpleasant valence. Here is what we can take away from the IAT: when the labeling you are asked to do follows your mental associations, it speeds you up, but when it mixes across associations, it slows you down. This means that every pattern that we can follow, understand, and which makes use of our knowledge of the world will make us move through content quickly, but when this knowledge and expectation is being challenged one has to slow down and think about what this means. This categorizing and natural seeking for patterns in information can be used to an advantage. 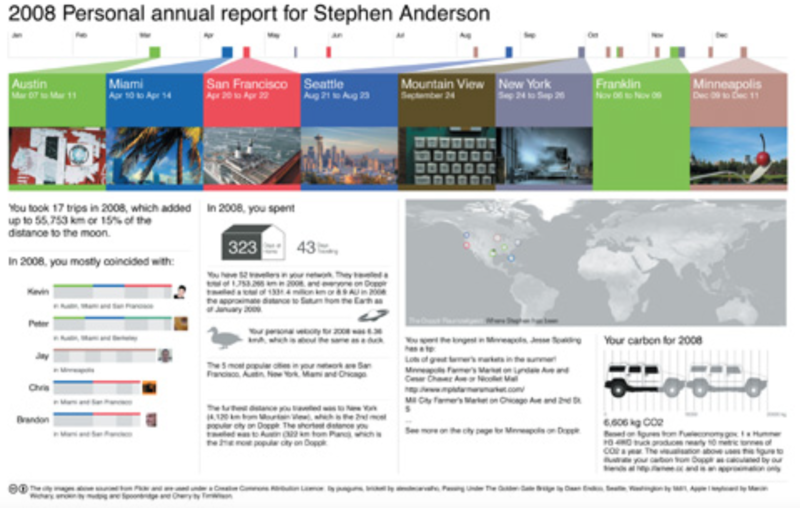 Anderson gives an example of how pattern seeking behavior was encouraged by DOPPLR, the free social networking service, launched in 2007, that allowed users to create itineraries of their travel plans. When starting to use DOPPLR the logo would catch the users eye: it seemed to change. It was always six colored blocks but the colors shifted in subtle ways over time. The changes were never random – there were always remnants of the colors that had been seen previously. But was was the patter? Since these changes were obviously not random, the user feels tempted to figure out the pattern, or rule, governing these changes. This is a puzzle to be solved! Here is the solution: each city has a unique hex code and the colors change depending on every users travel pattern. In her talk “| Are you Failing the Most Important Design Challenge?” at World IA Day 2019 in New York, Whitney Quesenbery spoke about the importance of falling into the category of pleasant surprise when a user is interacting with a product or service. When keeping in mind that a user is naturally categorizing information, a carefully designed service or product that can make use of slightly disrupting the flow, making the user think, creating a pattern out of it and ultimately letting the user find the solution, it can possibly create a very pleasant and engaging experience. It is however important to remember to keep the challenge hard enough to keep the user engaged and easy enough to not let the user get frustrated. In conclusion, it is important to acknowledge the fact that information is categorized on you website, app, digital interface, etc. and to understand what these categories are and patterns they create. Patterns can be used to create pleasant surprises to go from only decreasing friction on the site and to improving motivation to use it. Anderson, Stephen P. Seductive Interaction Design: Creating Playful, Fun, and Effective User Experience. Berkeley, California: New Riders, 2011. Mlodinow, Leonard. Subliminal: How Your Unconscious Mind Rules Your Behavior. New York: Pantheon Books, 2012. Porter, Joshua. Designing For Social Traction. 2011. Quesenbery, Whitney. “| Are you Failing the Most Important Design Challenge?” at World IA Day 2019 in New York. February, 2019. “Uncharted 4: A Thief’s End” is one of seven games of the Uncharted series, which is an action-adventure third-person shooter platform video game created and developed by Naughty Dog. 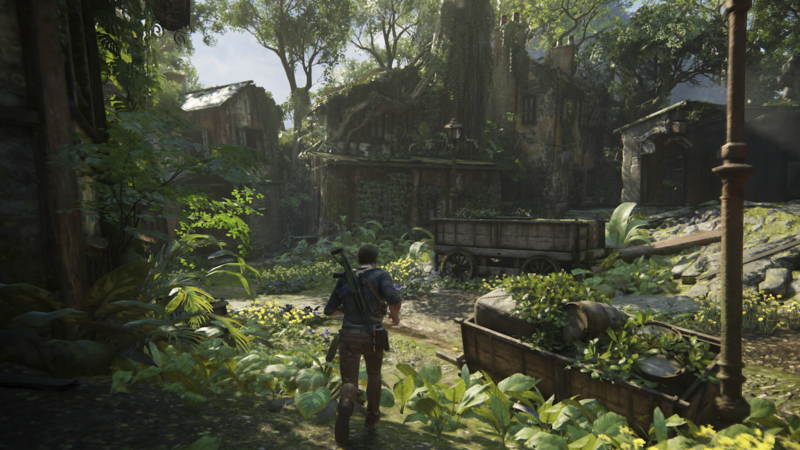 This critique takes a closer look at how Uncharted 4 makes use of Don Normans Design Principles and uses them to lead the player through the game, specifically one of their main pillars of the game: traversal. For the purpose of this critique I will address the user of the game as player. Naughty Dog does something special in their game which is to use very little UI elements in their game in comparison to others. 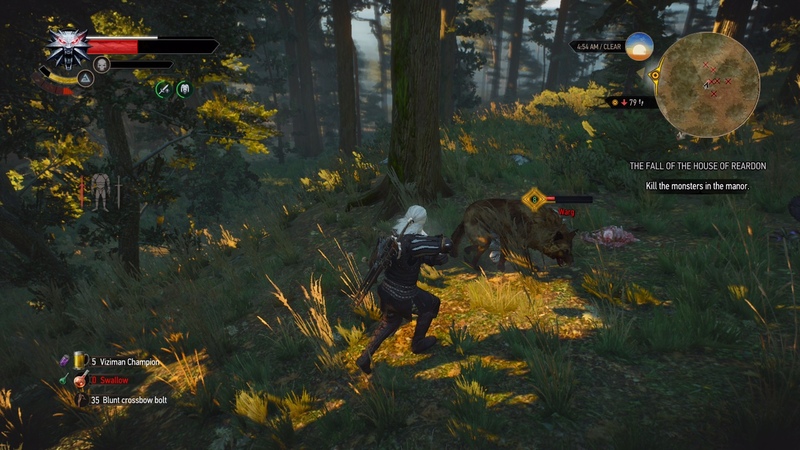 These activity-centered controls help to give the player less cognitive interruptions, because there is no switching back and forth between controller, UI and screen. This also means that there need to be signifiers that lead the player to the desired goal. When looking at the traversal in Uncharted 4 and you look at the world created within the game it might not immediately be clear where one can climb. This is easily overcome in the game by making the ledges, which afford climbing, discoverable through visibly lighter colors then their surrounding. The grappling hook, which can be used to traverse the world, can also only be used in specific parts of the game. The game overcomes this issue by making the branches that afford using the grappling hook, signify that they can be used by being covered in rope. These branches are made even more discoverable through signals appearing when close enough to the element. The wood covered in rope signifies that it can be used for the grappling hook. When playing the game the gulf of execution and gulf of evaluation should be as short as possible. Unfortunately, that is not always the case since the performance is restricted by having a controller to make movements that, like in Uncharted, are supposed to recreated the movements of a human. The only feedback given are the buttons that can be pressed, shaking of the controller when something important happens and audio and visual indicators on screen to indicate that the desired action was actually started, performed and completed. The mapping within the game can be confusing at times but that is mainly due to the constraint of having a controller as the input device. When the player is to perform an action the button sign is the same as the one on the controller but they do not indicate what the action will result in. The only feedback that the player gets are the actions that the playable character is performing, in the following example pulling the piton. A solution could be to further explain and map the action to the signal by writing “pull” next to the triangle or using a pulling motion with the controller through the joystick buttons. The button (triangle) corresponds to the button on the controller but does not indicate what the player is doing, only the action of the character can show us. The conceptual model within a game can differ greatly so in order to clarify the character in Uncharted is a normal human. The path that the player can traverse is given a semantic constraint by not giving the player anything to hold on to or putting things outside of their reach. Would this be a game with a character that could for example fly this constraint and the conceptual model wouldn’t apply. On a behavioral level the player is given the time to interpret these constraints by not letting the character reach out for ledges. The Character does not reach out when climbing to signify a constraint but does when there is a climbing element close enough. The game makes a lot of use of the players behavioral level of psychology by having moments during traversal where the player has to react quickly to grab onto another ledge. Quick reflexed are needed during traversal and engage the player on the behavioral level. All these aspects create a flow for the player and there is room for action-based-slips. Full attention is continually required, which keeps the player engaged and makes the game fun.